April is National Lawn Care Month, and we want to help you get your lawn green again with some lawn care tips. First, you want to examine the content of your soil to be sure it is healthy. Good soil contains microorganisms, is well drained, and promotes oxygen flow. You can contact your local county extension agent or other community resources to test the pH balance of your soil to determine what nutrients may need to be added. 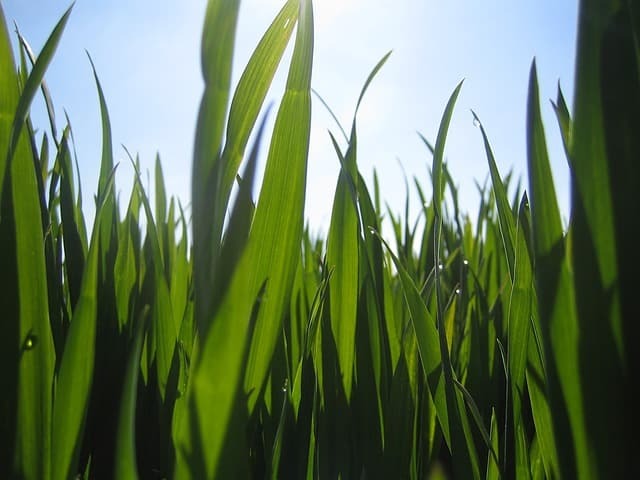 Determine if the grass you have or are considering planting is suitable for your climate. This is a major factor for Colorado homeowners, as many homeowners opt for grass-free landscapes due to drought restrictions and our climate. If you do go with grass, you can either lay sod or grow it from seed. Planting season will depend on the type of grass. Keep grass moist but not too wet. Apply good mowing practices such as not cutting grass too short, not cutting the grass when it is wet, switching directions each time you mow, spreading grass clippings on your lawn, and following safety guidelines. Lastly, try to avoid using chemical pesticides to control pests. Avoid pests by keeping your lawn healthy. If pesticides are necessary, be sure to follow all safety guidelines when applying. For more tips on growing and maintaining a green lawn, contact Lifescape.